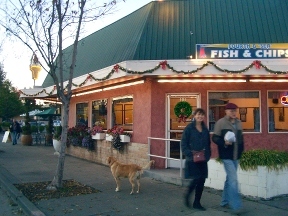 Occupying a former Foster’s Freeze location that had been in Petaluma for 50 years, Fourth & Sea Fish & Chips has been serving up fresh seafood for 10 years along with newly added Burgers, Chili Dogs, Garlic Fries, and Pulled Pork Sandos. Other menu items include Fried Calamari, Fried Shrimp, Shrimp Louies, and Shrimp Cocktails. But don’t forget the soft-serve ice cream cones, too! Their fish & chips are fresh, fresh, fresh and so is the fry oil, which, ensures good color and taste. Eating fried food that is dark in color is so not worth it. Checkout the Boston Clam Chowder, too. Delicious and served piping hot. The place reminds me of the old Mel’s Drive-Ins in San Francisco, and I keep half expecting waitresses on roller skates to come flying out of the side entrance balancing trays of food in one hand, gliding along on the pavement, delivering food to the cars in the parking lot. 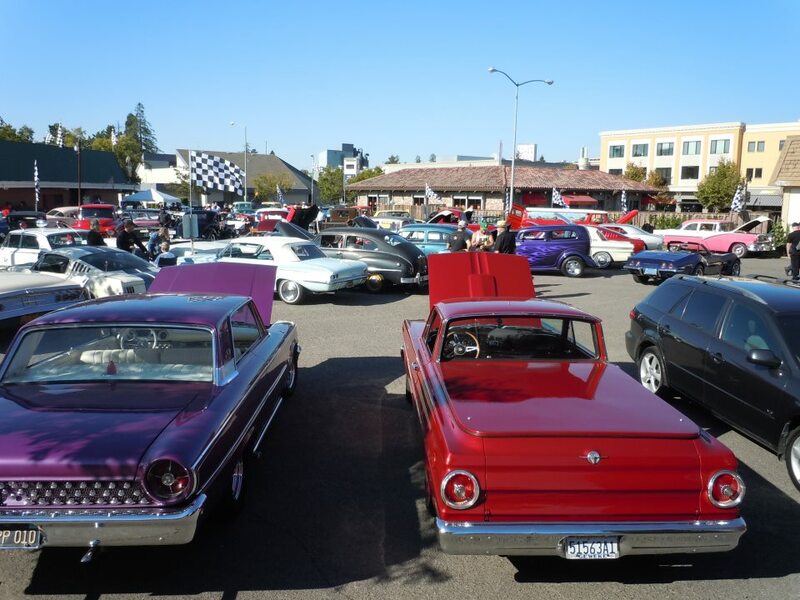 And that feeling just gets amplified from May to October at high noon on every 4th Sunday when the “Sunday Cruise In at Fourth & Sea” is in full swing when a homegrown car show worthy of “American Graffiti” is parked in the adajacent lots next to the restaurant. Great hole-in-the-wall atmosphere and good grub! Get Thee to Fourth & Sea and you’ll see just what I mean…..